According to a police statement, the rapper and his friend Cortlen Henry conspired to make it seem like their best friends were killed in a drive-by shooting. 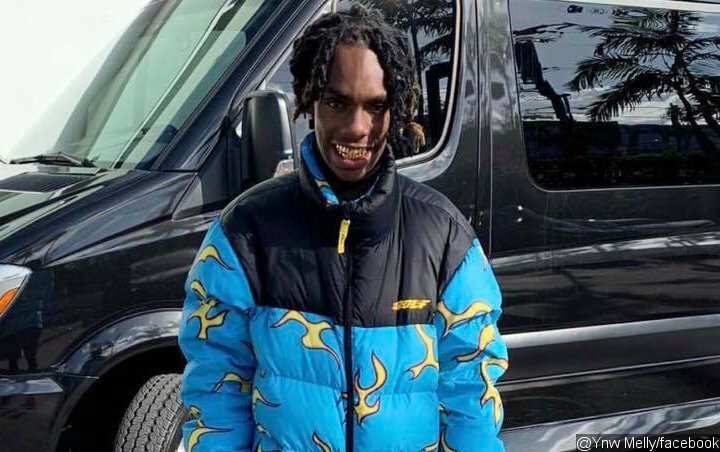 YNW Melly, an up-and-coming rap artist from Florida, has been arrested and charged with two counts of first-degree murder, authorities confirmed on Wednesday, February 13. The rapper, whose real name is Jamell Maurice Demons, turned himself in Miramar Police for the deadly shooting of Anthony Williams and Christopher Thomas Jr. last year. Both of them were Melly’s close friends. According to a statement from the Miramar police, Melly and his other friend, Cortlen Henry, conspired to make it seem like Williams and Thomas Jr. were killed in a drive-by shooting. Both victims were transported in a Jeep Compass to Memorial Hospital Miramar emergency room, where they were pronounced dead. Police added that they believed Henry was the one who drove the jeep while Melly shot the two men, though they didn’t note what precipitated the shooting. Williams and Thomas Jr., who were also known as YNW Sakchaser and YNW Juvy respectively, were killed in October 2018. Shortly after the news of their death, Melly’s lawyer Bradford Cohen stated that his client was mourning. “He’s sad, he’s upset, obviously. Those were his best friends,” he said at the time.